Contributing editor Jim Richardson is a photojournalist recognized for his explorations of small-town life. His photos appear frequently in National Geographicmagazine. "If you want to be a better photographer, stand in front of better stuff." That's a simple mantra and I repeat it like some mystical incantation rooted in utter practicality. I share it with other photographers and I endeavor to follow my own advice. As a result, I spend a great deal of time doing photo research, looking for great locations to shoot. Put simply, I'm a better photographer when I'm standing in front of something wonderful like the Grand Canyon. Getting to wonderful places is bread-and-butter photography. Getting there is only half of any great photograph's story. The other half is how the photographer prepared to envision the subject once in front of it. 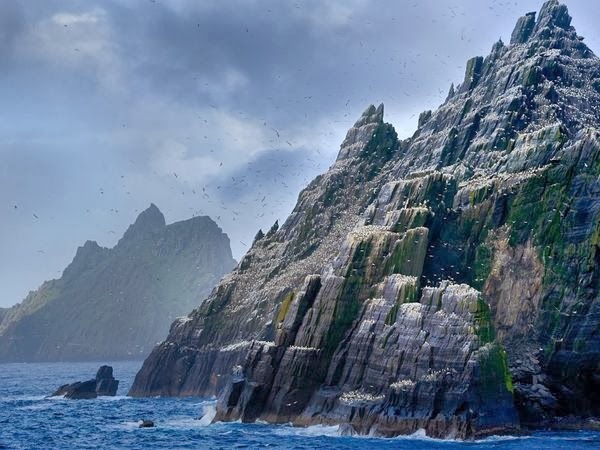 Example: Today my mind is absorbed in the long climb up Skellig Michael, that remote crag isolated in the Atlantic off the coast of Ireland. There, Celtic monks found their solace in spiritual isolation 1,400 years ago. I have never been on Skellig Michael, though I have come close four times. Each time I was thwarted by high seas. Mentally I am preparing to be among the beehive huts in the monastery at the summit, in the mindset of ascetic hermits seeking their spiritual desert in the vast Atlantic. In four days I'll board the National Geographic Explorer for a cruise of the British and Irish Isles, and I'll have a chance once again to ascend the slopes of Skellig Michael. I want to be ready to seize the day. For me, this groundwork is part of photography, as essential as knowing exposure and lighting or recognizing the decisive moment. Research sounds like drudgery to many photographers, but for others digging into a subject in advance is part of the pleasure—its own reward. I'm one of those photographers. Fortunately it doesn't have to be an either/or decision. Most National Geographicphotographers I know do both: research extensively to prepare their schedule (and their minds) and then become existentially in-the-moment once on site. Create a research file for each location. For my upcoming cruise I already know where we are going day by day. So I start a file for each location and start compiling information. At the least I'll get the Wikipedia entry for every site as background. Dig up photos. Just knowing what the place looks like is invaluable, so I'll hit several of the Internet photo sites like Flickr or the major stock photo sites like Corbis or Getty. Besides clueing me in to the photographic possibilities, this research can also show me what angles have already become clichés to be avoided. And I'll find angles I didn't expect from locations I hadn't imagined. Armed with these I'll be better prepared to push the expected. Ransack guidebooks and photo books. Guidebooks tend to show the standard scenes but they are comprehensive. Photo books show what a devoted photographer can make of a place. Both of these help me expand my expectations. Research your destination to death. Turn to online search engines to seek out-of-the-ordinary shots of your destinations. 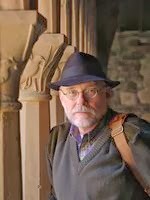 Once, when preparing for a trip to Ireland, I searched the term "Celtic priest" and the results turned up Dara Malloy on Inishmore. Dara performs Celtic weddings in a 900-year-old church. A quick phone call to Dara revealed he had a couple coming from Tokyo to be married, which resulted in a photo in National Geographicmagazine. Look for places and events that are seasonal and timeless. Open your mind to what might be a picture subject. Most travelers tend to think only of places, without delving deeper into culture, history, and meaning. I try to get in time with the rhythm of the place and in tune with its melody.